25,000 sq. ft. Expansion to Cater to Las Vegas’ Love for All Things Luxurious & Fast. The neon glow of the Las Vegas strip entices people from all parts of the world. However, the summer sun isn’t the only thing heating up the streets of Las Vegas Blvd. these days. The market for super-fast, super expensive sports cars in Las Vegas is at an absolute prime. The gaming, convention, and tech industries are thriving, and Las Vegas is undergoing a modern-day renaissance. Not to mention Las Vegas is now one of the premier cities in America for professional sports, following the limelight of the successful Vegas Golden Knights inaugural season. 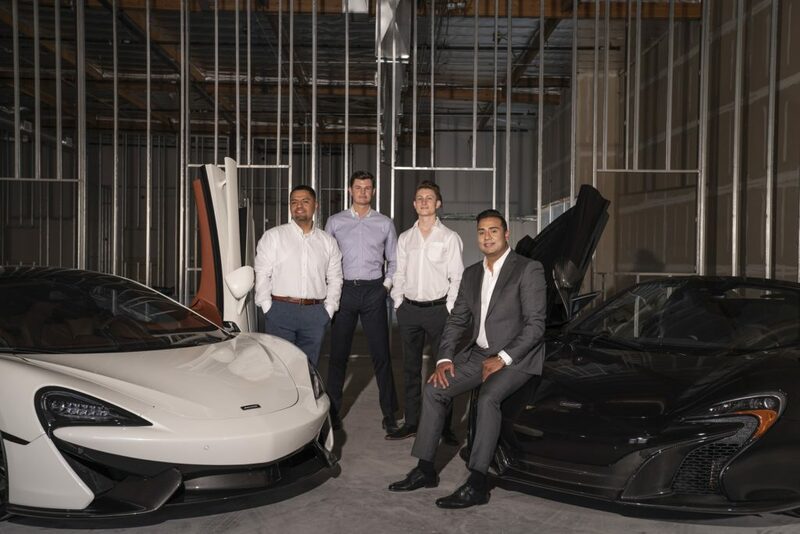 The hottest new place to buy your first or next supercar begins with Nick Dossa, the Dealer Principal of Vegas Auto Gallery, who has built a name for himself in the luxury to high-end automobile market with over a decade of experience. Dossa has always had the vision and passion to position himself to be a dominant leader in the growing luxury market in Las Vegas. Dossa has established an equally passionate team and works alongside well-seasoned partner, Ed Ghaben who has 35 years of industry specific experience. 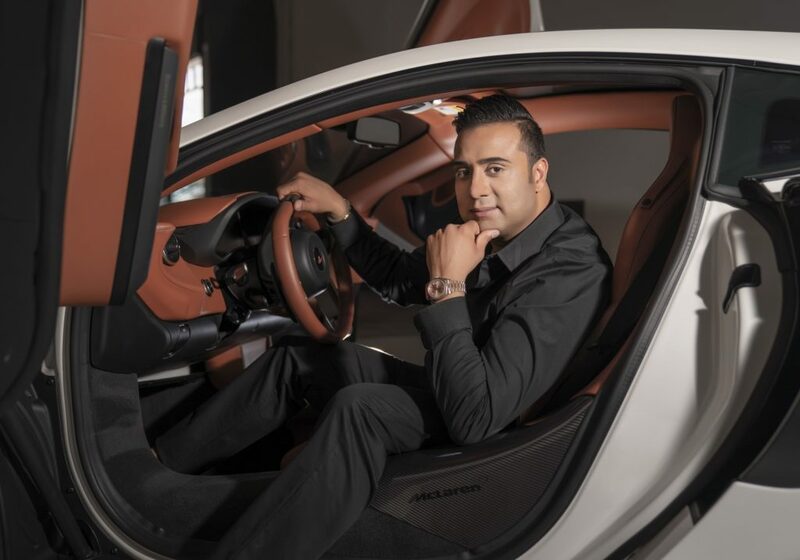 “We’ve facilitated multimillion dollar hyper car transactions and will continue to welcome new buyers to this dynamic city, under the new Vegas Auto Gallery brand,” says Dossa. Dossa has set forth with expansion efforts to an entirely indoor showroom, located at 3055 Palms Center Drive. This new showroom boasts over 25,000 sq. ft. between two buildings. The showroom will have an inventory of over 85 vehicles at any given time. Not to mention a state-of-the-art service facility tailored to service exotic, highline, and luxury cars. “We are building the largest toy store in Las Vegas,” he explains. Vegas Auto Gallery’s attention to detail and customer loyalty can provide a more personal service with its vast selection of high-end used cars. “We make sure our client’s needs are met. We’re more of a concierge service, if we don’t have it in our inventory― we’ll get it.” Vegas Auto Gallery offers Lamborghinis, Ferraris, and all other name brand luxury cars at a fraction of the cost—with low miles. Finding the right color combination and the proper options suited for your lifestyle is what Vegas Auto Gallery prides themselves on doing. Dossa’s father was a rally driver, who passed when Nick was only 12 years old. “I grew up around cars and developed a passion for it like my father at a very young age. I started buying and selling cars in class for fun while pursuing a business degree. Yet he also points out integrity and honesty are key components that make Vegas Auto Gallery thrive in Las Vegas. Optimistic about their growth, Dossa wants to show Vegas Auto Gallery can achieve across the whole range.